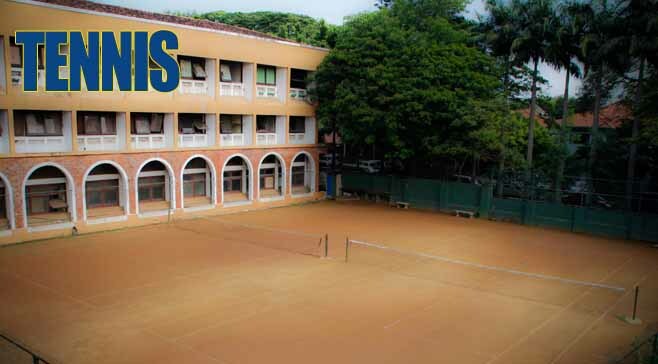 When the school was in San Sebastian there was a Masters Tennis Club which flourished. However, when the school was relocated in 1913 there was no tennis court available and the game was not played. In 1922 the game was revived and inter school matches were played. With the formation of the Boys’ Schools Tennis Association in 1949, Royal College had the opportunity of playing against many schools in different age categories. The main trophies are the Fred De Saram shield for Senior championships and the C.A. Laing shield for Junior championships. The trophy awarded for the winners of the Royal – Thomian Tennis Encounter is the E.F.C Pereira Memorial Cup. Since the encounters inception Royal College has remained unbeaten.